The most awaited BPI credit card promo is back with Free Jollibee Treats and Toys. What a fun way to celebrate the yuletide season! My family have been enjoying these free treats from Jollibee for several years now. Thanks to my BPI credit card. Aside from having a trusted credit card that I can use for my needs, getting these freebies is one of the reasons why I love BPI and why I remain a loyal BPI credit cardholder. If you are a BPI credit cardholder and you also want to enjoy BPI credit card Jollibee Promo 2018-2019, read on for more details below. What Cards are Qualified to Join BPI Credit Card Promo? The promo is not available for the following cards: Corporate Mastercard, Corporate Classic, BPI Family Credit Card, Amore Visa, Amore Platinum, and BPI Visa Signature Card. When is the BPI Credit Card Promo Available? BPI Credit Card Jollibee Promo period is from November 1, 2018 to January 15, 2019. When is the BPI Credit Card Promo Redemption Period? If you qualified for the promo, you may redeem your free Jollibee treats and toys from November 5, 2018 to March 15, 2019. What are the Requirements to Qualify for BPI Jollibee promo? The Principal Cardholder MUST REGISTER his/her BPI Credit Card 16-Digit Customer Number to this promo from November 1, 2018 to January 15, 2019. You may register once through SMS, e-mail, or both. The Principal Cardholder should use any of the QUALIFIED BPI Credit Card within the promo period for a minimum single-receipt retail/straight purchase of P3,000 at any merchant. What are the Qualified BPI Credit Card Transactions? What BPI Transactions are NOT QUALIFIED in this promo? 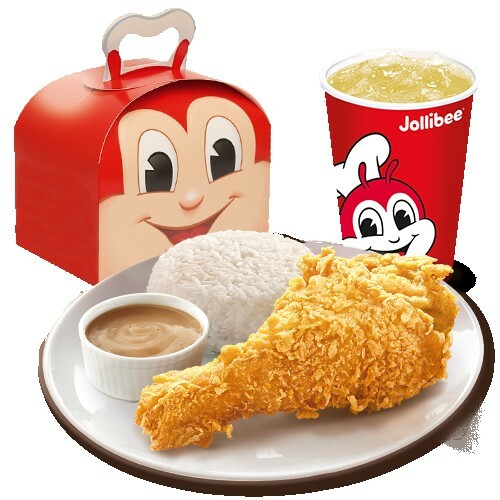 How to Register to BPI Credit Card Promo for Free Jollibee Treats? To join this BPI Credit Card Promo, you must register first which can be done in 2 ways, either through TEXT or EMAIL. Text BPITHRILLS<space>16-Digit Customer Number and send to 2256. You can find your 16-Digit Customer Number in your Statement of Account (hard copy) or in your BPI Express Online account (PDF). You only need to register ONCE and it’s FREE. You will receive your confirmation 2-3 days after you register. Only the principal cardholder is qualified to register, provided, the credit card is in good standing. Please take note that to be able to successfully register to this BPI Credit Card Promo Jollibee, you must use the SAME contact details including the mobile number and email address in BPI’s system records. If you use a different contact info, your registration may fail. To update your contact info, login to your BPI Express Online account, or call BPI Hotline 89-100, or visit the nearest BPI branch. Qualified BPI credit cardholders can enjoy any of the featured items at any participating Jollibee stores nationwide. You can choose only 1 of these options for every qualified transaction. Once your registration to BPI Credit Card Promo is successful, you (principal cardholder) will automatically receive your Jollibee eCoupons for all your qualified and posted transactions starting November 1, 2018. The eCoupons will be sent to your registered mobile number or email address. If you registered through TEXT, you will receive the eCoupons via text message. If you registered through EMAIL, you will receive the eCoupons in your registered email address. As principal cardholder, you have the option to give the eCoupons to your family and friends. To redeem, just show the eCoupon to the Jollibee cashier before placing an order. Click here to see the complete list of Jollibee participating and nonparticipating outlets. Multiple redemptions per day, per store up to a maximum of sixty (60) eCoupons are allowed per customer. For more info about BPI Credit Card Promo Jollibee Treats 2018, click here.